Wondering what to sew for Valentine’s Day? We’ve pulled together our favorite Valentine’s Day sewing tutorials featuring gifts to make and give, decorations for the home, and cozy quilts to share. Remember creating these little hearts from paper? 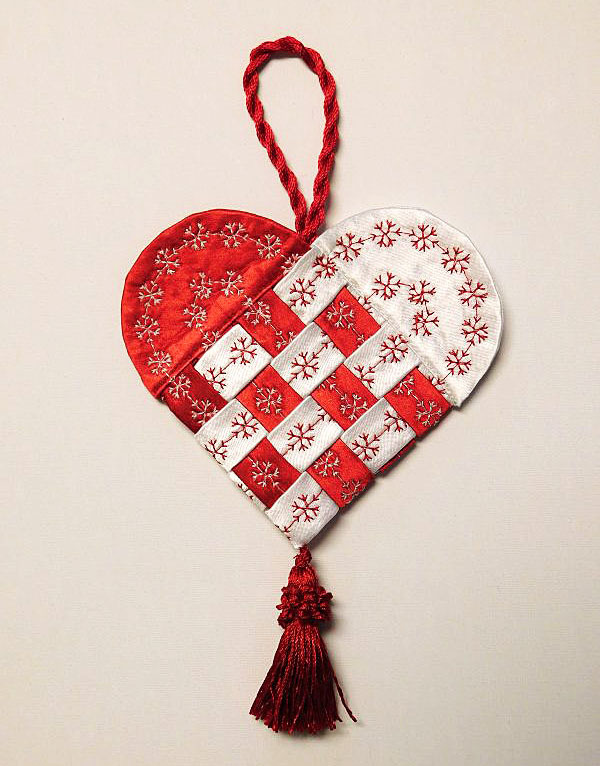 These Scandinavian fabric hearts make wonderful gift holders, and beautiful mementos. Fill the little pocket with sweets or a love note! Find the Scandinavian Fabric Heart tutorial here at WeAllSew. 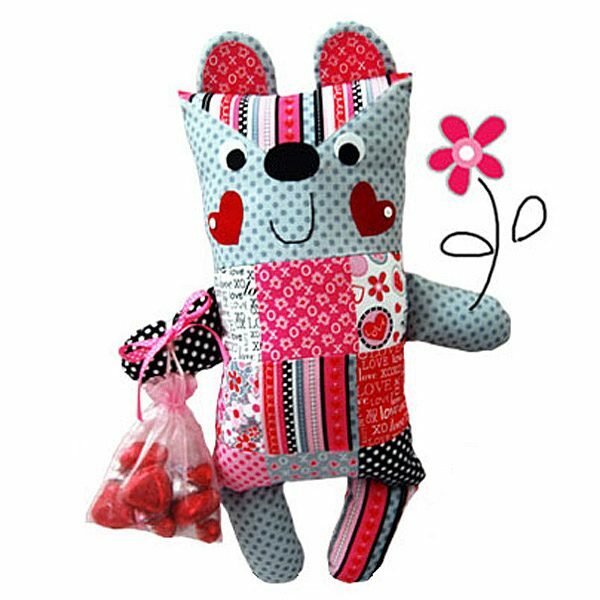 Make this So Sweet Love Candy Cutie designed by Susan Cousineau from Sweet Chic Design with the free PDF templates and tutorial at Sew, Mama, Sew! Photo from Sew Mama Sew. Slip a love note into your Valentine’s pillow this holiday. Learn how to create a lacy appliqué that can be used as a pocket or just used as a pretty dimensional accent piece on a sweet little cushion with the Lacy Love Note Pillow Tutorial from Stacy Schlyer at WeAllSew. Dive into your stash and create cute fabric postcards to give to your favorite valentine with the Fabric Postcard Valentine tutorial here at WeAllSew. This adorable string of hearts pillow designed by Amy Smart of Diary of a Quilter is quick to stitch together. 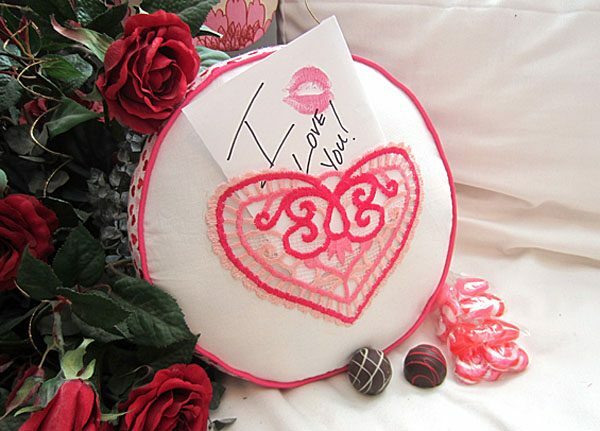 Find the Valentine Throw Pillow Tutorial at Ucreate. Photo from Ucreate. 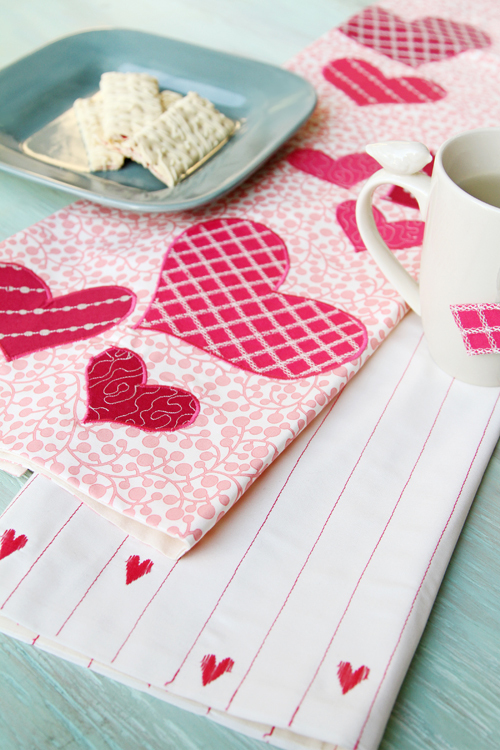 Create a romantic addition to your home for the sweet day that celebrates love and happiness with this cute set of kitchen towels filled with appliquéd hearts and stitched in a modern style. Easy to sew, fun to use! 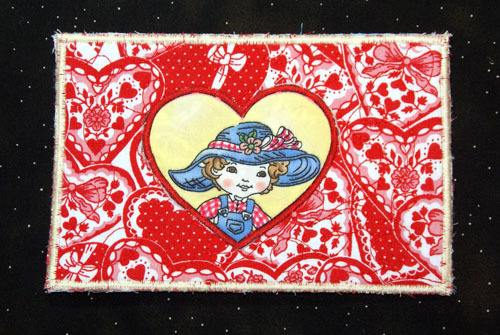 Find the Be My Valentine Kitchen Towel Tutorial, designed by Pat Bravo, here at WeAllSew. This sweet little mug rug is filled with love and is quick to stitch together, and makes a great gift. 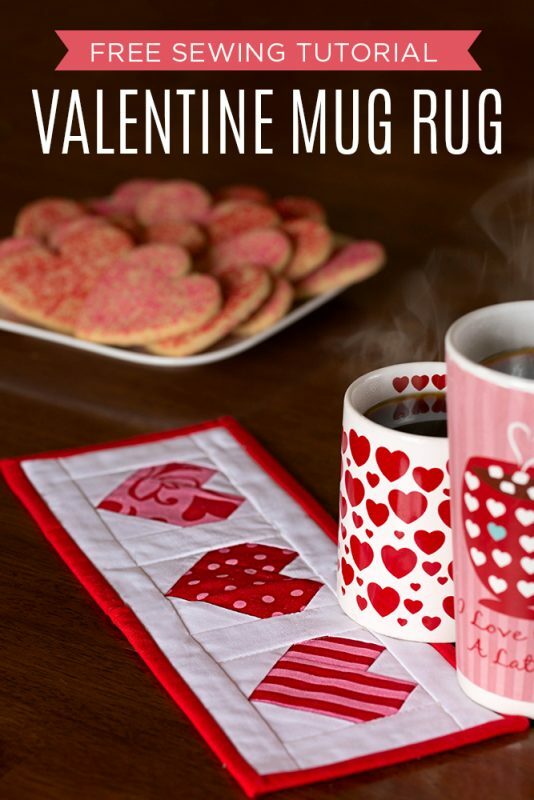 Get the Valentine Mug Rug tutorial from Gemini Creates. Photo from Gemini Creates. 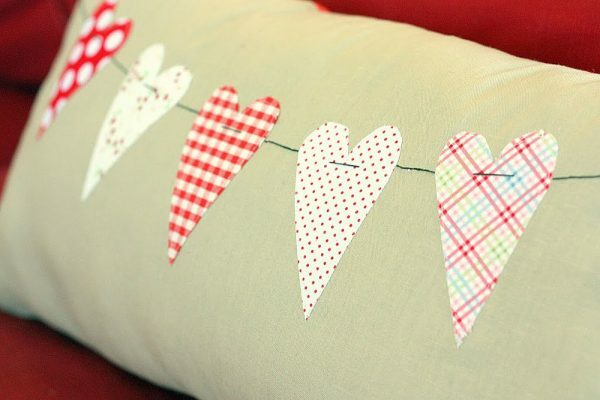 Use decorative sewing machine stitches with scraps of fabric to create a Quick “Cross-Stitch” Heart Garland designed by Rebecca Ringquist. 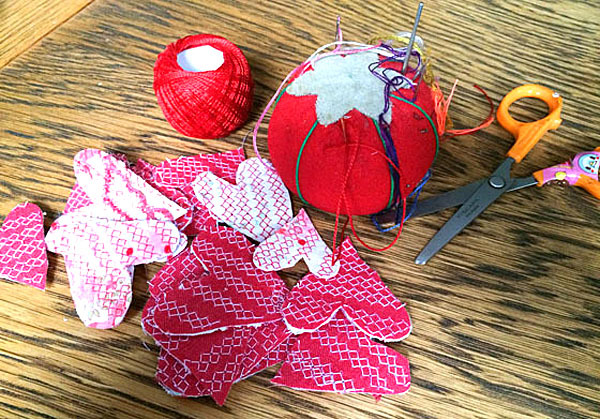 Get the How to Make a Quick Heart Garland here at WeAllSew. 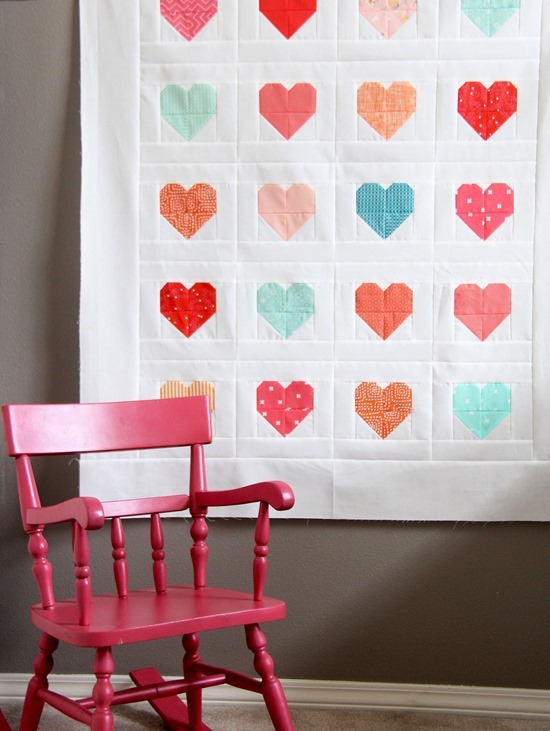 Make a simple heart quilt featuring your favorite fabrics with the Simple Heart Quilt tutorial designed by Allison at Cluck Cluck Sew! Photo from Cluck Cluck Sew. This quilt says “I love you!” in a big way! 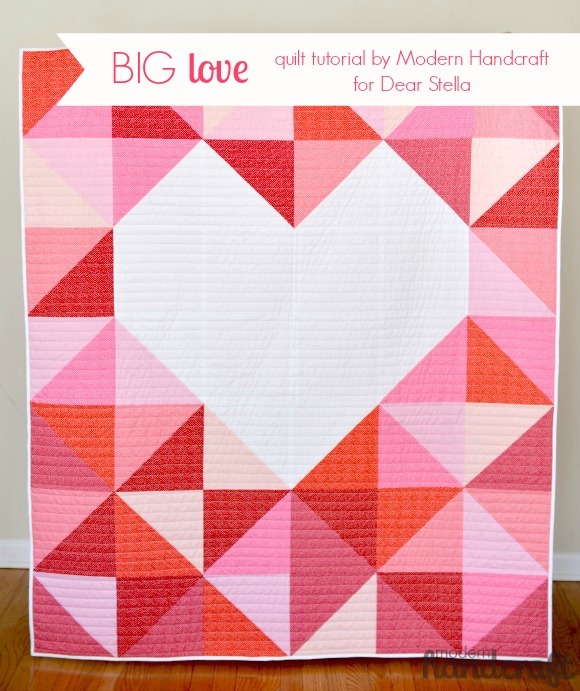 Find the Big Love Quilt Tutorial by Nicole of Modern Handcraft at Dear Stella Design. Photo from Dear Stella Design.